"Trio Spectrum" chamber music concert "Forest Prelude"
Saturday 26th of January 2019 at Oleri Manor , 17:00. 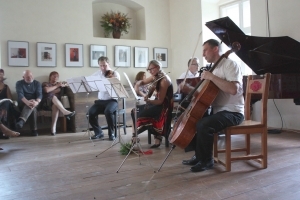 Chamber music concert "Forest Prelude". Participants "Trio Spectrum". Liene Denisjuka - Straupe (flute), Miks Bankevics (French horn), Kristīne Paula (piano). Supported by State Culture Capital Foundation, Rujiena municipality, society "HI" and “Oleru muiza”. Friday 3rd of August 2018 at Oleri Manor , 19:30. RIX Piano Quartet summer concert . Supported by State Culture Capital Foundation, Rujiena municipality, society “Oleru muiza”. 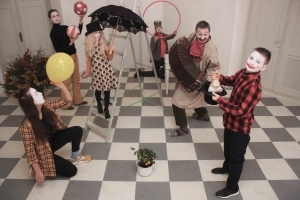 LATEST is an initiative of the New Theatre Institute of Latvia and Kanuti Gildi Saal Tallinn to propose contemporary performing art programmes in Riga and Tallinn in 2018 when both countries celebrate their Centenary. 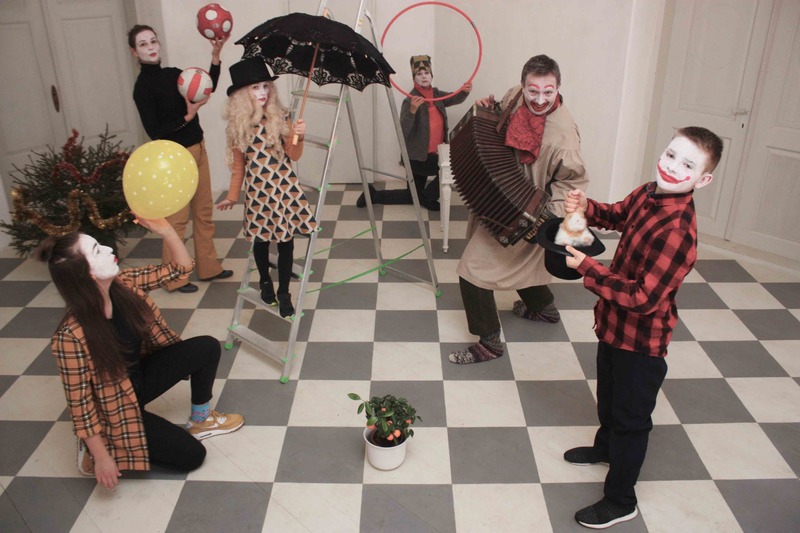 The central event of both programmes will be a new creation by the collective of eight Latvian and Estonian artists – director Valters Sīlis, dramaturg and performer Kārlis Krūmiņš, scenographers Austra Hauks and Epp Kubu, visual artist and film director Kristiina Norman, choreographers Joanna Kalm and Karolina Poska and composer Toms Auniņš. 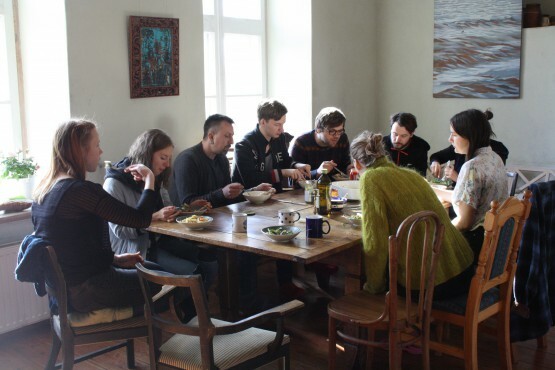 This week artists have met for 10 days residency in Oleri Manor close to Latvian-Estonian border to come up with the idea, structure and aesthetics of the new creation which will be premiered in Riga in February 2018 and in Tallinn in November 2018. Rhizottome* brings together Armelle Dousset on accordion and Matthieu Metzger on sopranino saxophone, with the goal to get back to their roots and so improve innovation. The French duo offers an exhilarating and challenging live experience, generous concerts, which may even turn into a dance party.